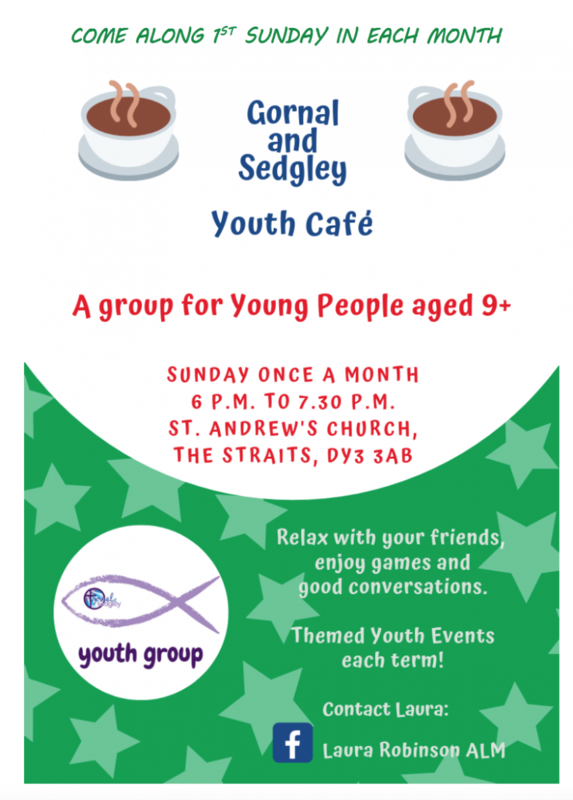 Welcome to the Gornal and Sedgley Team Ministry website. 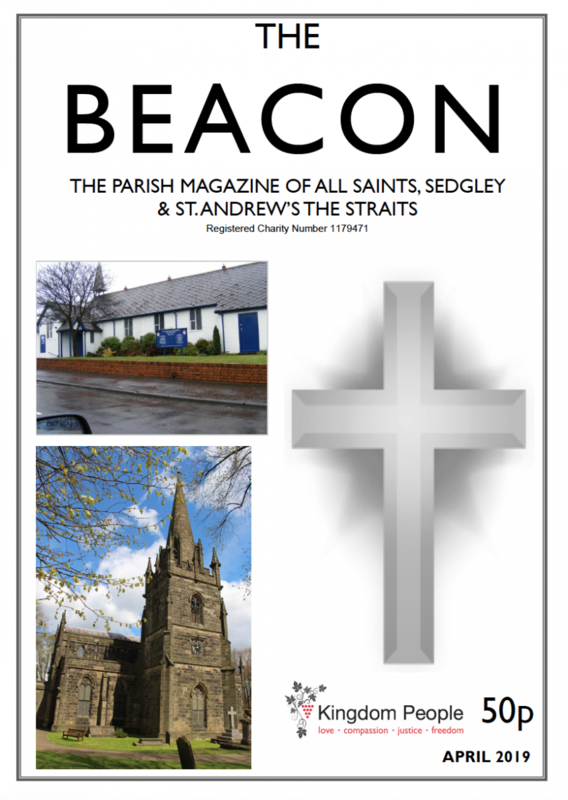 Our parish includes All Saints' Church in Sedgley, St Andrew's in The Straits and St Peter's in Upper Gornal. 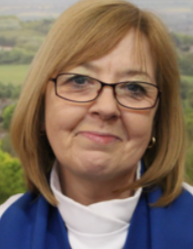 We've been a team ministry since 2005: team working allows us to provide spiritual and pastoral care to a wide area including Upper Gornal, the Straits and Sedgley. 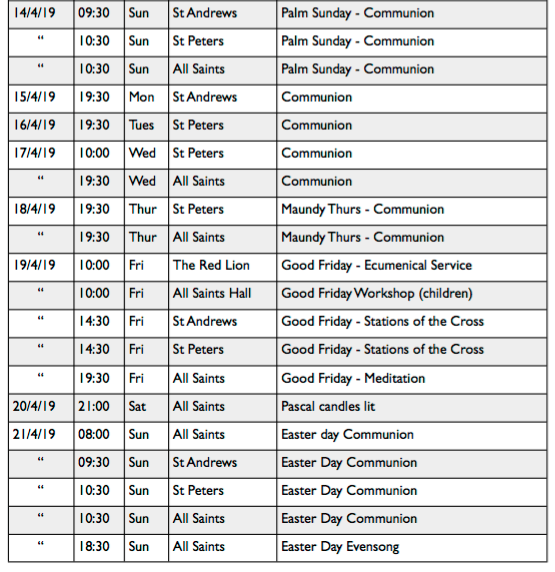 We look forward to meeting you at one of the churches in our parish soon. 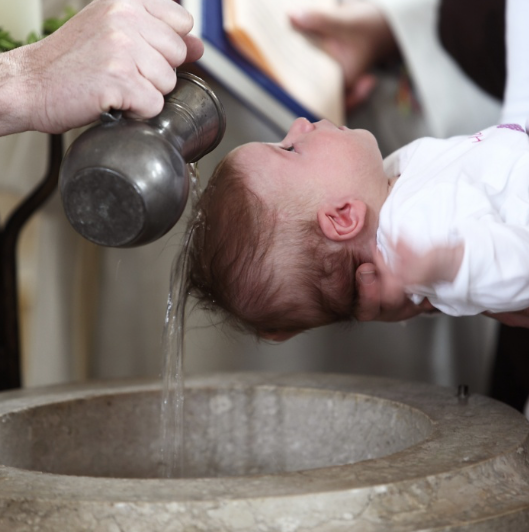 For baptism and wedding bookings, please click here. 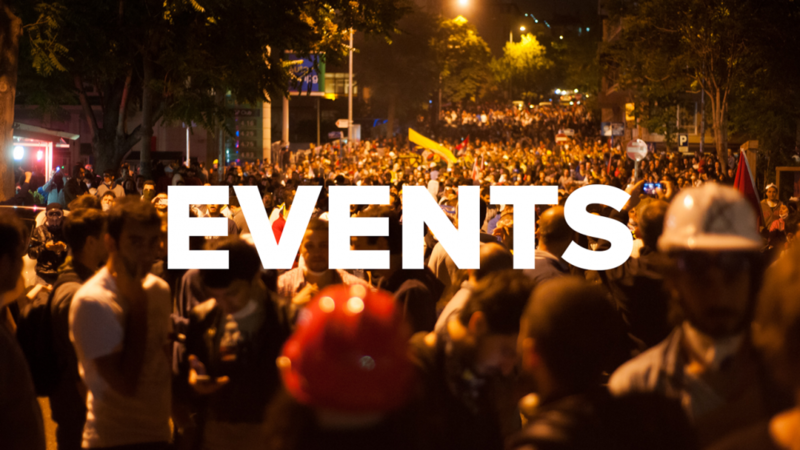 Please notify us of any services or events that are missing from the listings. 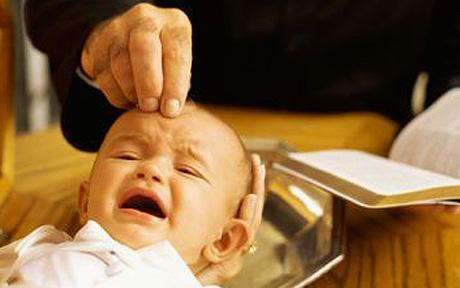 Our Facebook site provides an added facility for communicating with other members of our church community and with our Team Ministry. 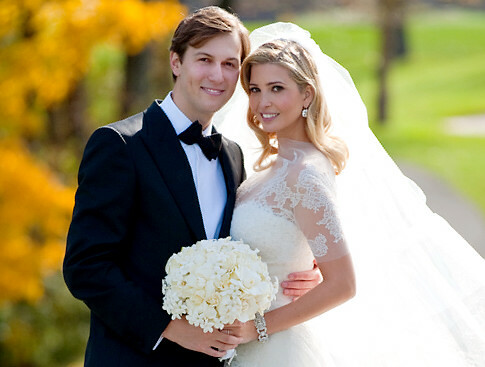 Click on the image above to view an enlarged version. To be held at All Saints’ Church Hall on Friday April 19th, 10am – 12pm for children from age 4-11. Join us for this free event with fun crafts to explore the meaning of this special/sacred day. 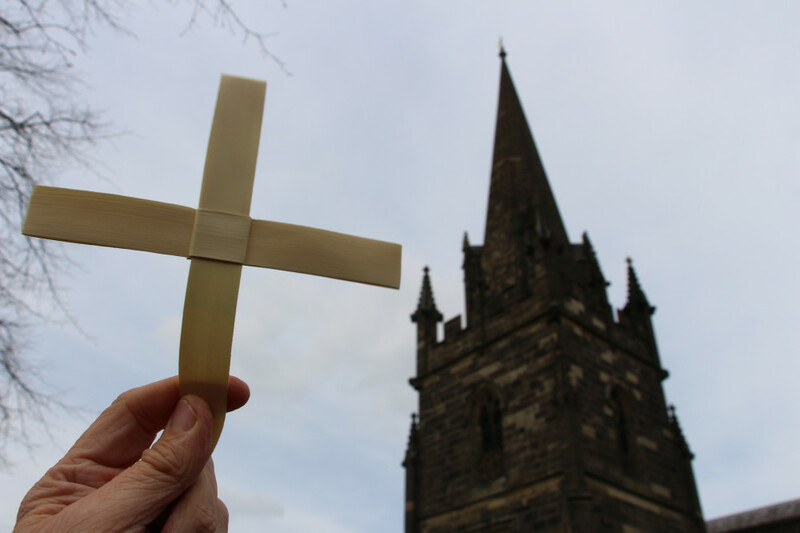 This year we reverted to meeting in the Church Hall for the Blessing of the Palms on Palm Sunday at All Saints'. 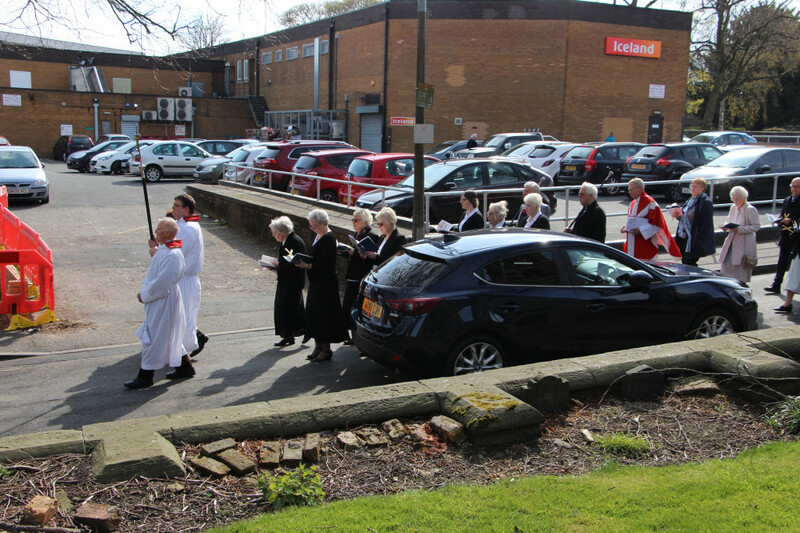 The blessing of the palms and service of Holy Communion was conducted by Revd James Makepeace. We reverted back to meeting in the Church Hall this year. Palms were blessed in the Church Hall by Revd James Makepeace. We processed from the Church Hall across Vicar Street into Dean Street. We progressed down Dean Street. 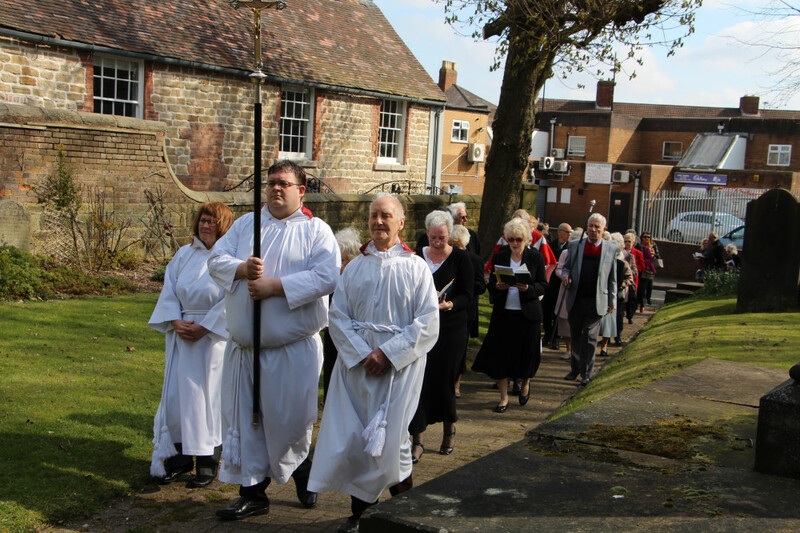 The procession then turned up the pathway by the Courthouse, on the north side of the churchyard, thence into church. The Easter bonnet parade at Noah's Ark - which parents and children had made. 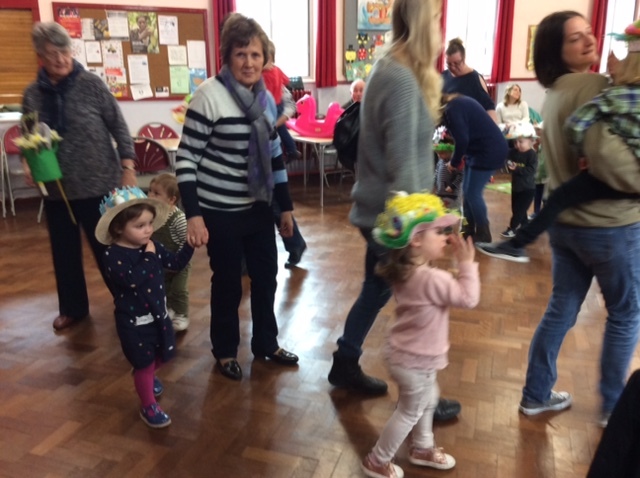 "It was a lively and enjoyable morning at Noah’s Ark - moms, nans, aunties and of course children came along with their Easter Bonnets which were amazing. A difficult decision had to be made by judges Maureen and Jean. 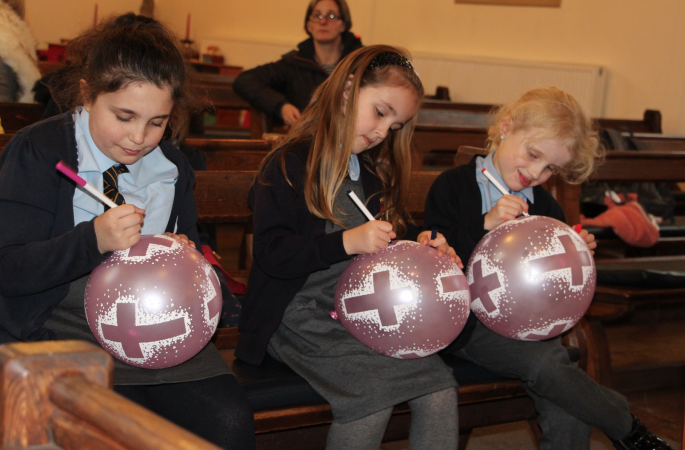 The winners were Felicity, Macy, Leo and Lola - all were given an Easter Egg for a prize, but all children were given a small Easter Egg as they left the hall. Thank you to all who helped make the morning so successful. 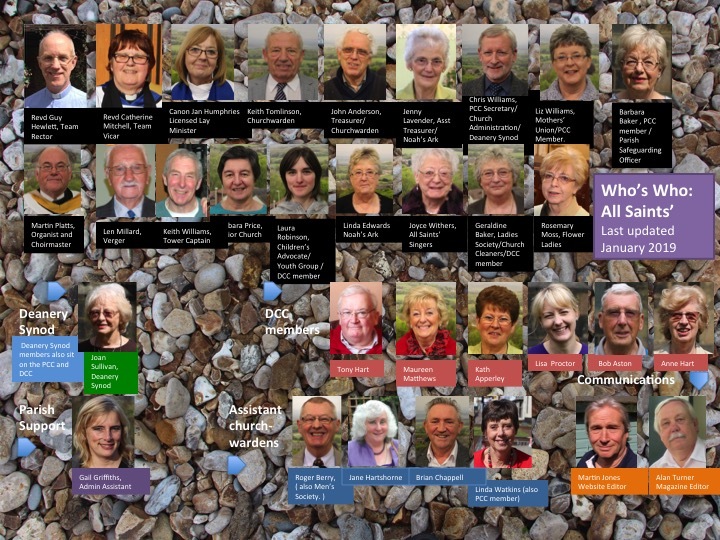 The new Parish Council, 2018-19. The parish held its Annual Parish Council meeting on 7/4/19 at St Peter's. 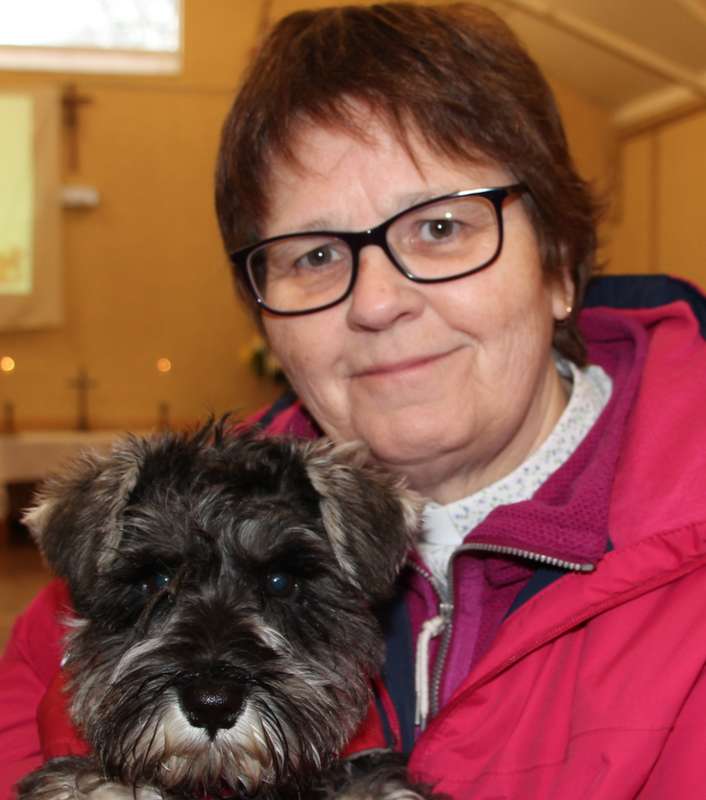 The new Parish Council Secretary is Kath Apperley. Chris Williams was thanked and applauded for his seven years of dedicated service in the role - with the support of Liz Williams. 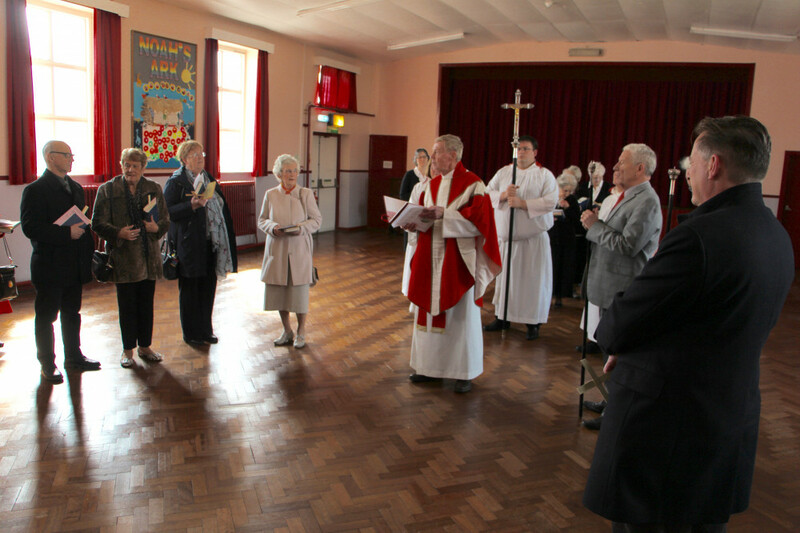 The closure of St Peter's for worship was raised at the meeting. 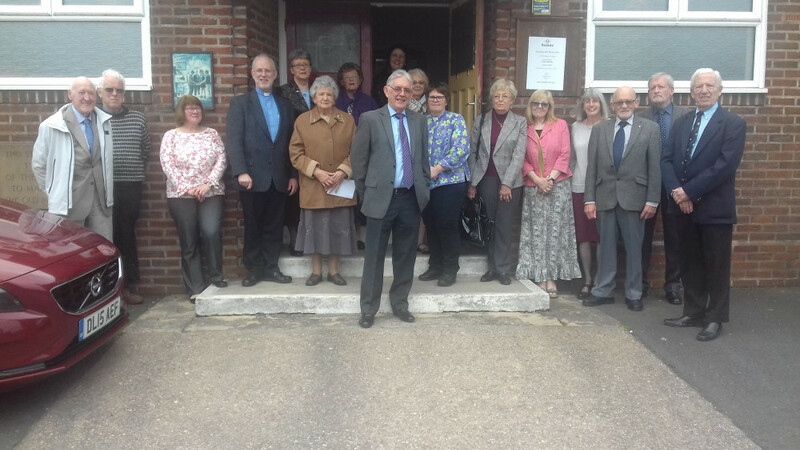 The PCC has now petitioned the Diocesan Pastoral Committee for closure - and they have visited St Peter's to assess the situation. Once the Diocese has formally accepted responsibility, control of the building will pass to the Diocese who will then consider alternative uses. It is hoped that the decision will be made by the end of the year. 'Rosemary and the Margarets do an excellent job of maintaining flowers in church that, I feel sure, is widely appreciated. However, the current arrangements for receiving donations are not ideal. Accordingly, I am seeking to put flower donations on a more formal basis. Linda has agreed to take on administration of donations, being managed through a Flower Envelope scheme that identifies whether the donor is eligible for Gift Aid. This will enable the 25% Gift Aid rebate from HMRC to be claimed. For information, flower costs vary through the year and Rosemary advises that a typical, non-festival week costs circa £25. 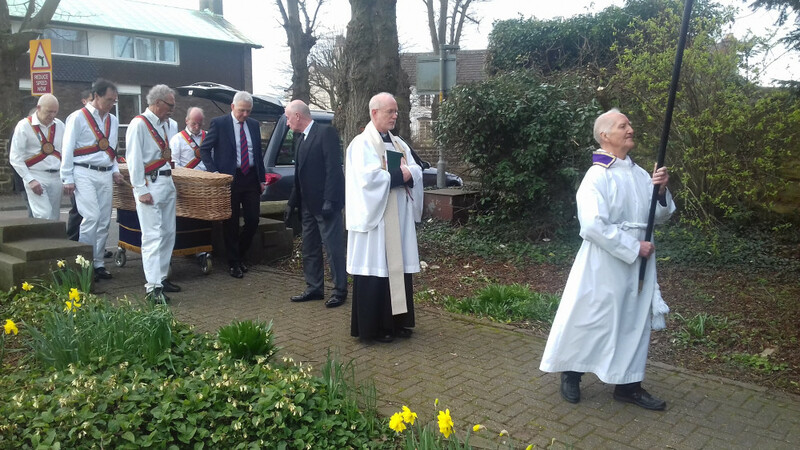 Harry Shaw's funeral was held at All Saints' on Thursday 4th April 2019. At the service we heard wonderful eulogies to Harry. Afterwards there was a reception at Himley Cricket Club. Our thoughts are with Harry's family. 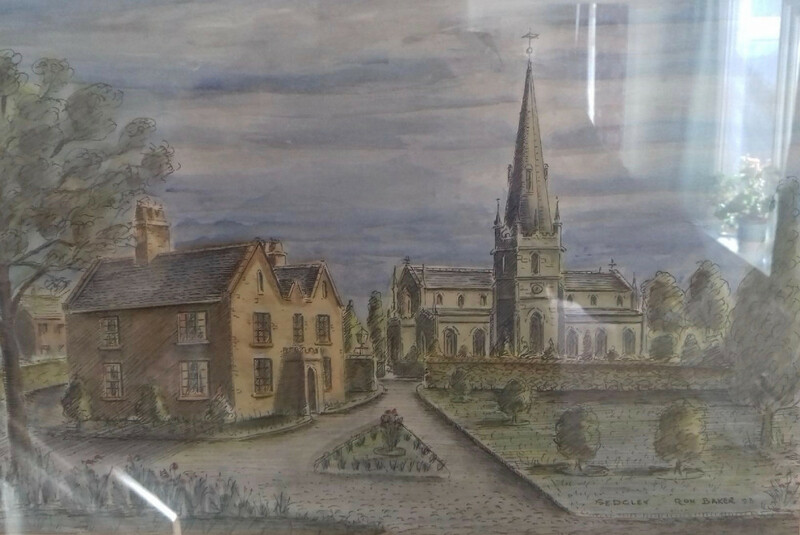 Harry made a huge contribution to the life of All Saints' by designing and making all manner of props, scenery and displays for Junior Church plays. 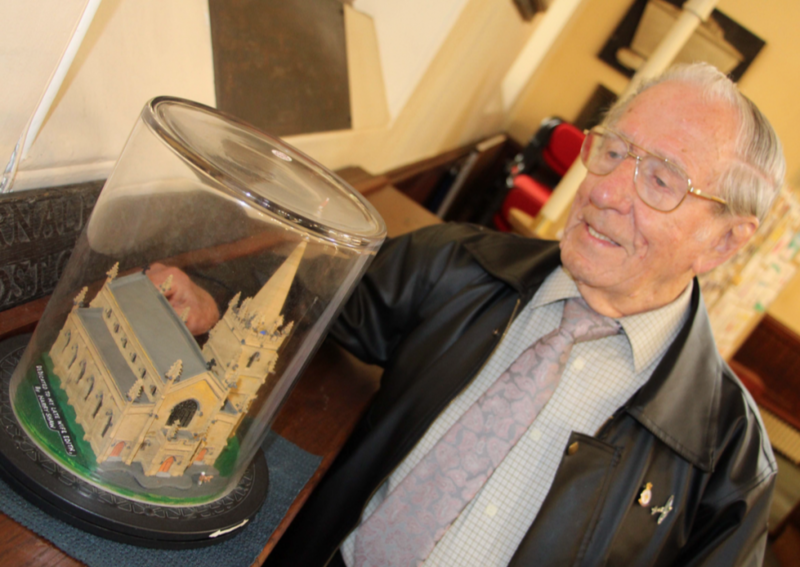 In 2016, for the Sedgley's EIIR 90 exhibition, Harry told us the story of how he built his scale model of All Saints' in 2008 - which has been on display in church ever since. 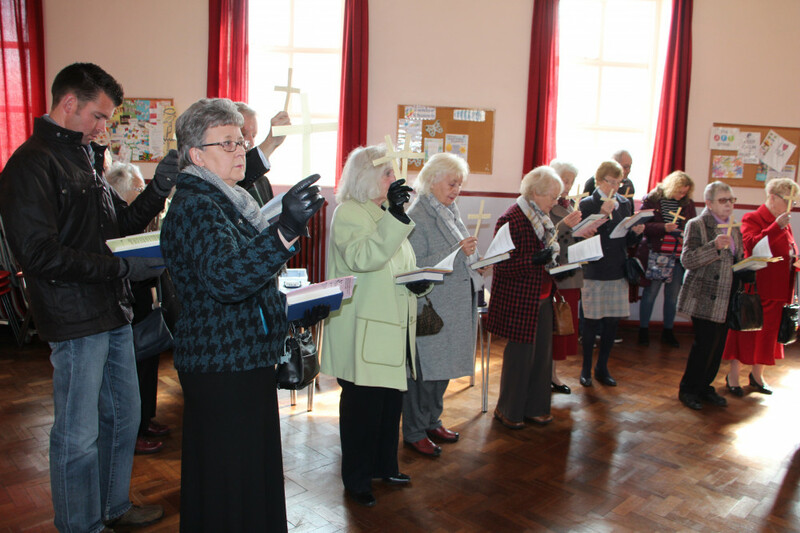 Mothers' Day was made really special at St Peter's Church Hall on 31/3/19 when members of local uniformed organisations brought their organisations' standards into the hall for the morning service and presented them at the altar, in honour of mothers everywhere. NOAH'S ARK MOTHERING SUNDAY PREPARATIONS! 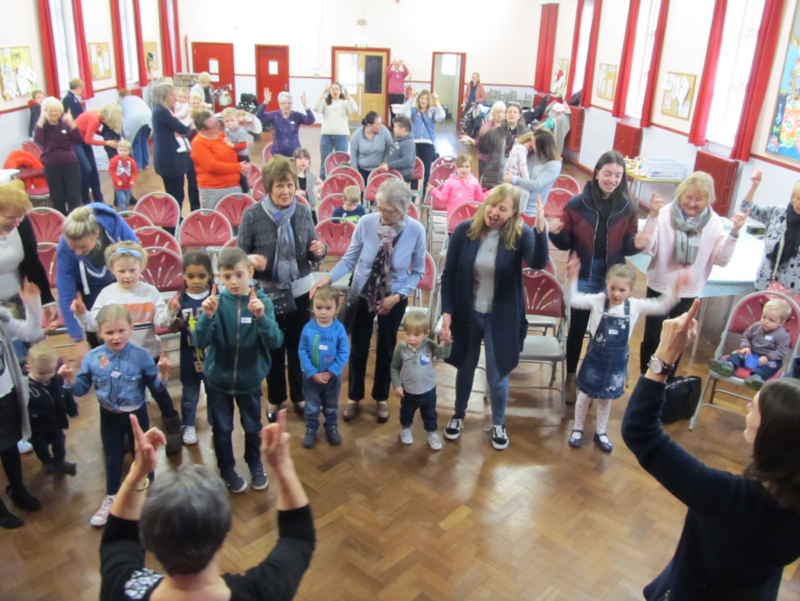 Noah’s Ark provides a useful service to our community - it meets the need for moms, nans and aunties to socialise, and of course for the children to mix. 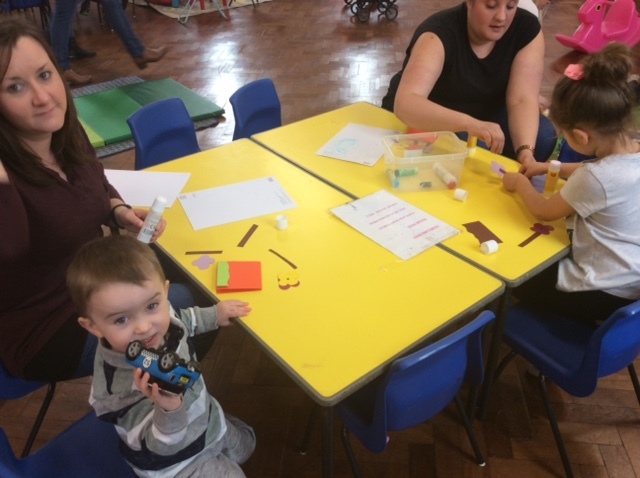 The craft session held on Tuesday (26/3/19), with Mothering Sunday approaching, was the making of Mothering Sunday cards, and all of the children left with daffodils (with many thanks to Asda for providing them). With very many thanks to all the volunteers who give up their time every week to make Noah's Ark such a success - and such a useful local resource. 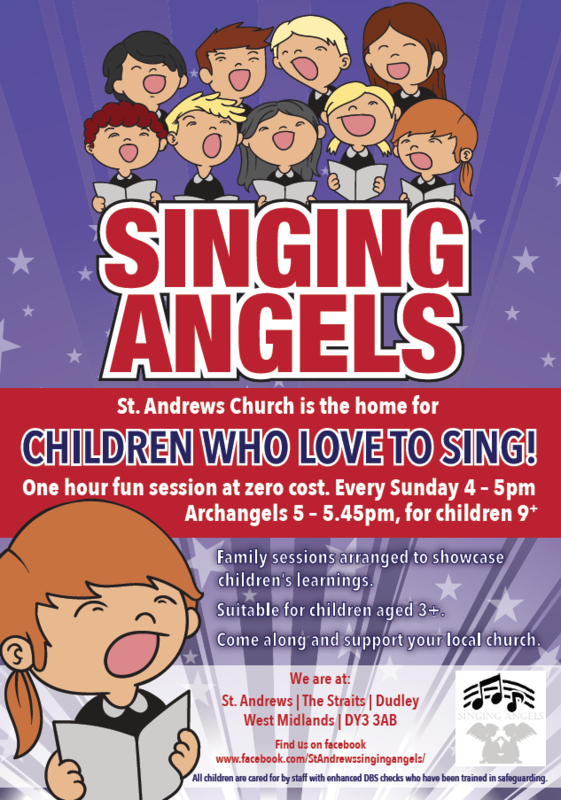 On Sunday 24th March 2019 The Singing Angels, who are based at St Andrew's The Straits, held a service and concert showcasing the songs they've been learning and practising since Christmas on the theme of Peace. Many thanks to all the children who contributed to a very enjoyable afternoon and to everyone involved in coaching and preparing the children. 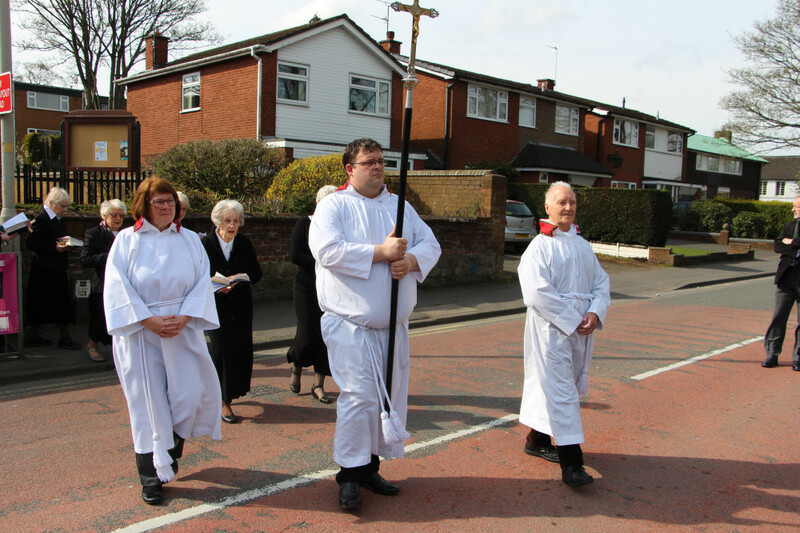 The Archdeacon of Worcester, Nikki Groarke attended and was most impressed with the group and their wide repertoire. 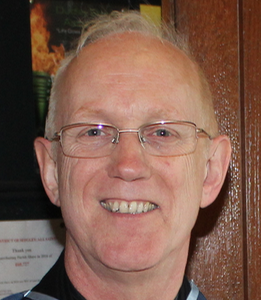 The funeral of the late Mike Edwards took place at All Saints' on Tuesday 26th March 2019 at 10am. Well over 300 people packed into All Saints' to show their respects for this wonderful local man who enriched the lives of so many people over the years. There were touching eulogies to Mike by his family and close friends. 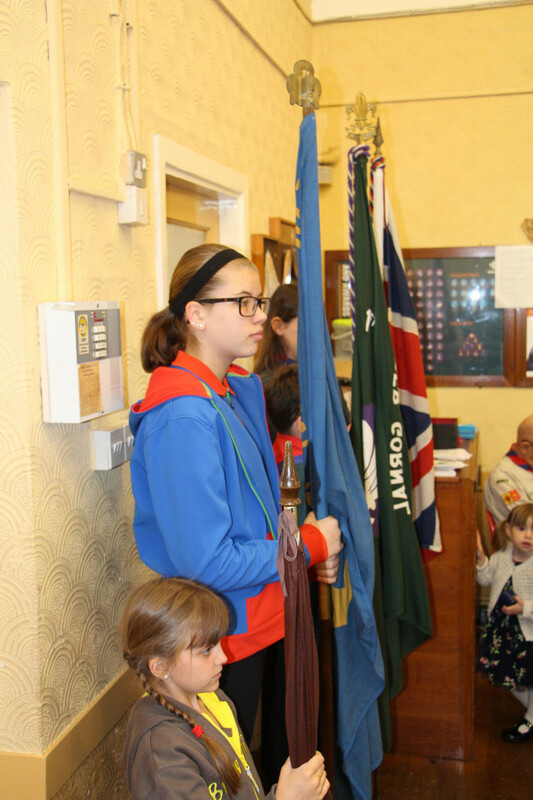 Sedgley Scouts held an honour guard with scouting standards at the entrance to church. 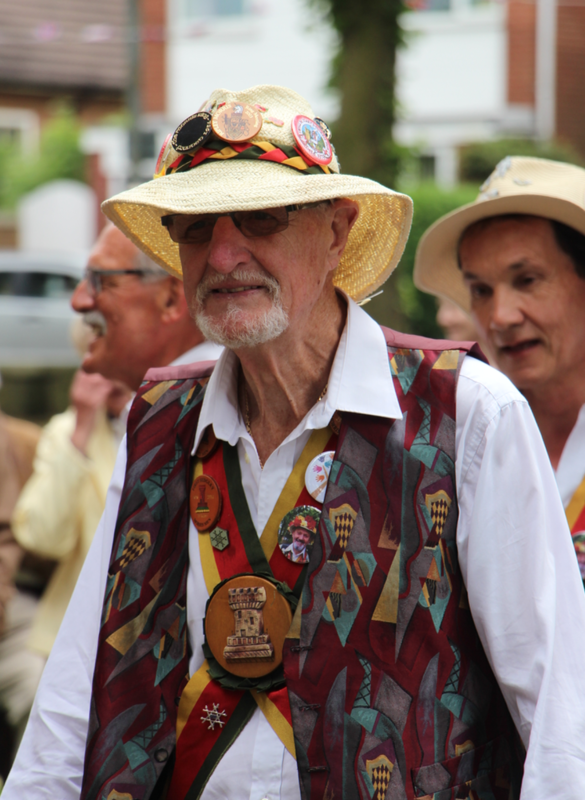 Sedgley Morris Men, of whom Mike was co-founder in 1979, dressed in their traditional Morris costumes, were also there outside the church to bear Mike into and out of church. Afterwards a reception was held at Wombourne Civic Centre where people who knew him had an opportunity to share their reminiscences about Mike’s life. If you'd like to add a formal tribute to Mike, please email mmjones29@blueyonder.co.uk (there may be a short delay before these appear). MANY THANKS TO THE 200 CLUB! 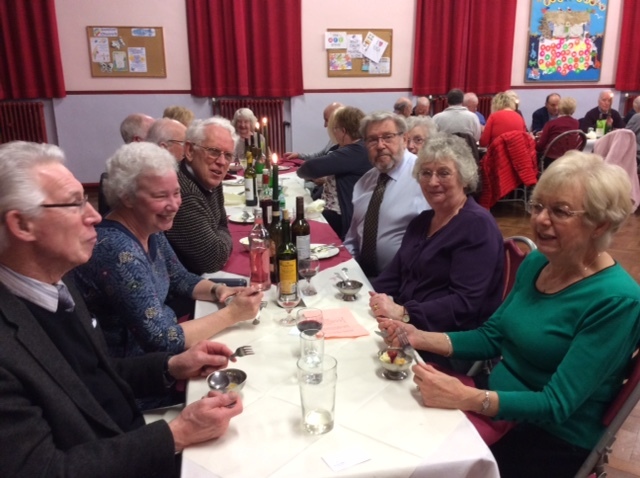 "We held our annual 200 Club evening in the church hall on Saturday 9th March. 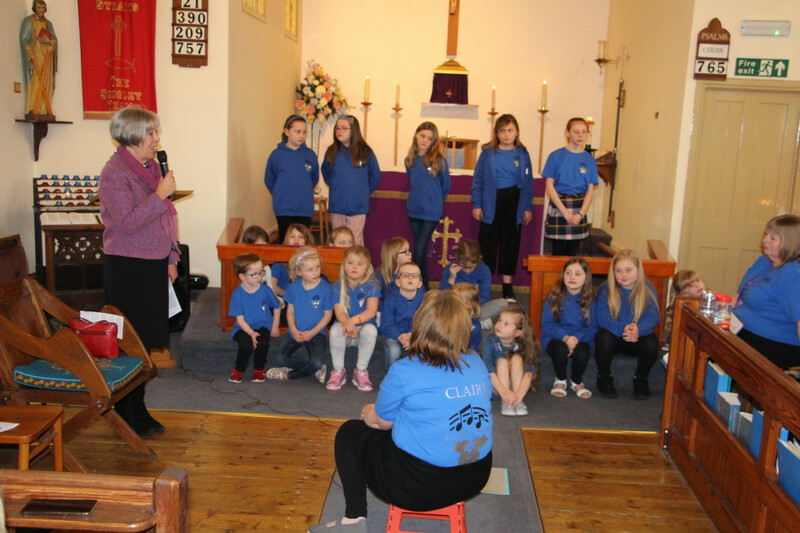 The 200 Club was set up originally to help provide funds for maintenance and restoration work, as and when needed, for our church hall - which is still the aim of the group. 50 people attend on the night, which was arranged by Roger Berry, Jenny Lavender and Jean Turner. The food was great, supplied by Jenny’s Kitchen and the entertainment was provided by the two Sam’s, a pianist and vocalist. 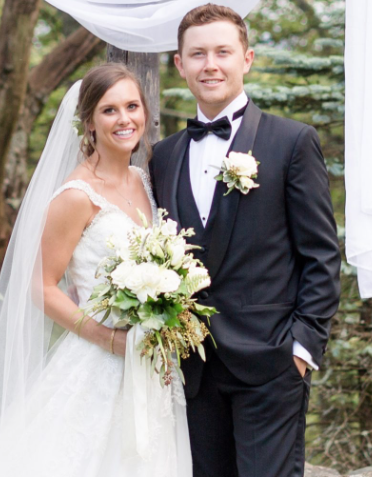 It was a lovely evening enjoyed by all who attended." Well done everyone - and thanks for raising money to maintain the Hall! 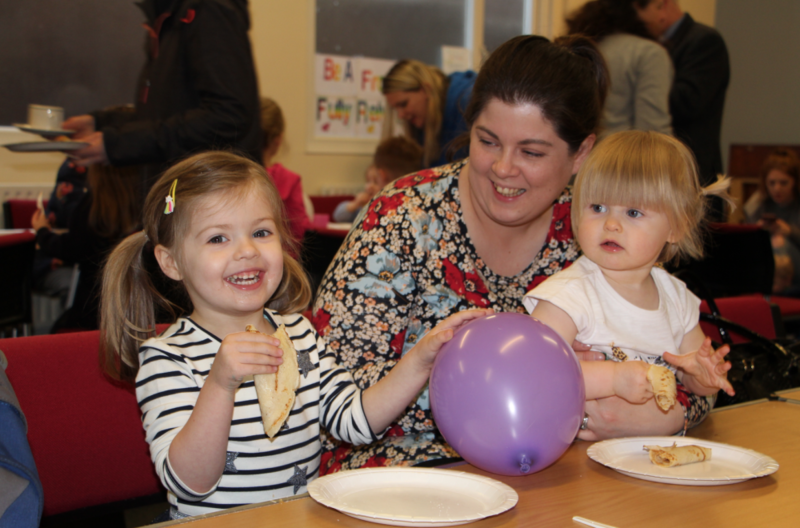 The Pancake Party at St Andrew's was a huge success in all respects. It was attended by a lot of local families and there was a range of activities to suit everyone. 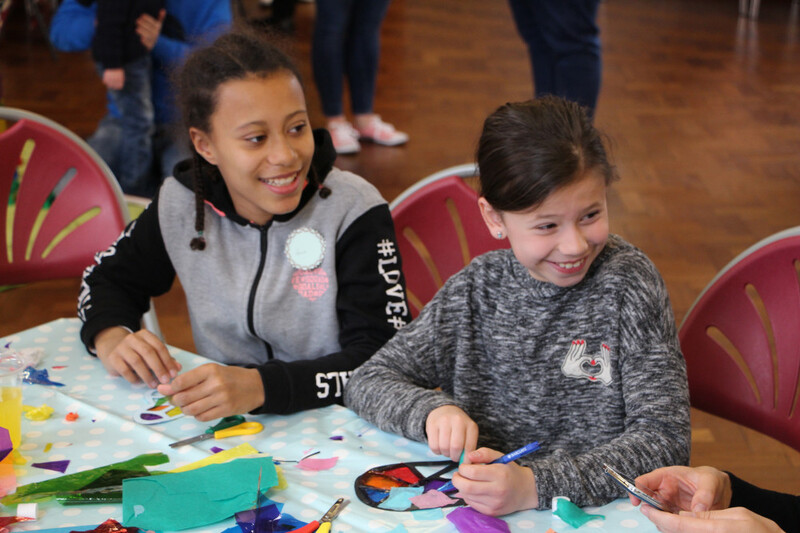 It began with workshop art and craft activities based on the theme of Jesus's 40 days in the wilderness, eg making sackcloth bags and snakes; then everyone went next door to the church and collected pictures of pancake ingredients, and took part in a story with Pancake buzzwords (eg 'Flour!') allocated to each member of the audience, at the sound of which they had to stand up! Then there was a team game of building a pancake pathway in the hall; and finally everyone was served a delicious pancake made by the kitchen crew. Well done to Helen Laird and the young people's team who all contributed to such a memorable day. 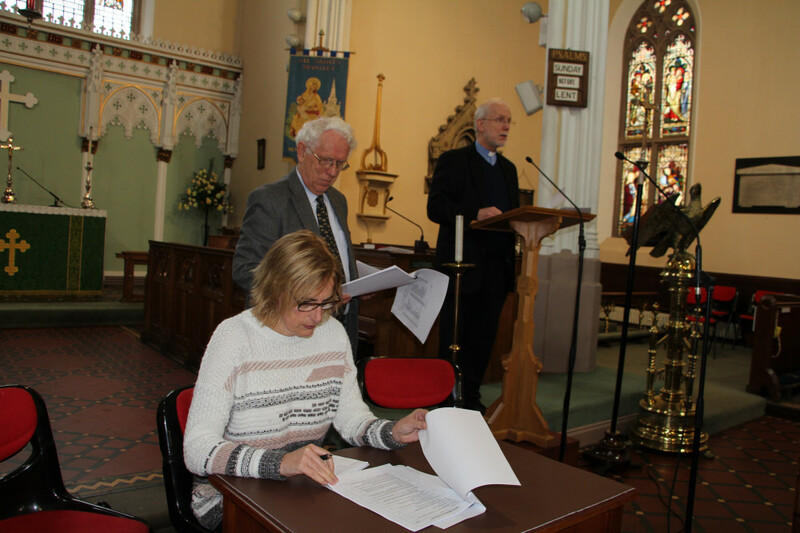 ALL SAINTS' ANNUAL GENERAL MEETING was held on SUNDAY 3rd March after Sunday morning Holy Communion. Thanks to everyone who attended. In due course we'd like to update the Who's Who for All Saints' to take account of changes agreed at the meeting, for the printed poster on the easel in the Narthex. 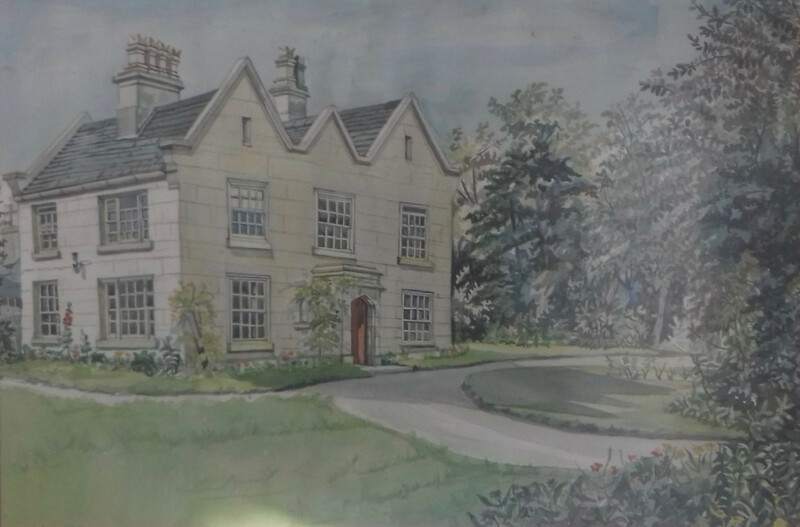 These wonderful colour artists' impressions of All Saints' Vicarage as it would have looked before it was demolished in the late 1960s hang in the present vicarage. 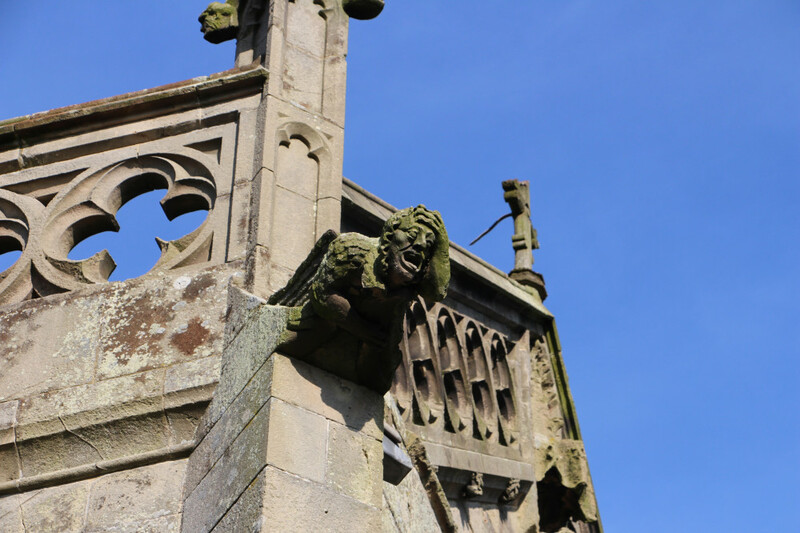 One of the famous set of gargoyles on the outside of Battlefield Church, near Shrewsbury. 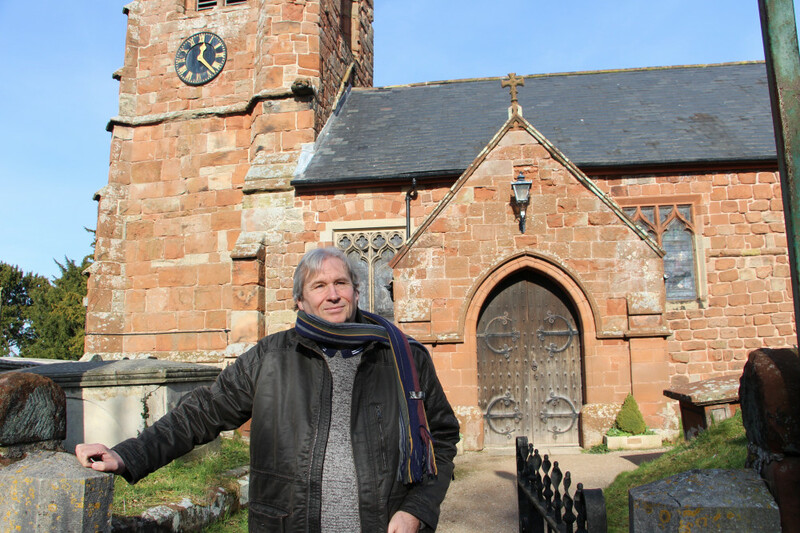 The latest travelogue in our 'Days Out' series explores the country churches north-west of Shrewsbury. Possibly the best known of these is St Mary Magdalene's Church in the village of Battlefield. It was built on the site of the 1403 Battle of Shrewsbury between Henry IV and Henry "Hotspur" Percy, and was originally intended as a chantry - a place of intercession and commemoration for those killed in the fighting. Other village churches included on the tour are: Preston Gubbals, Ruyton XI Towns, Loppington and Colemere. 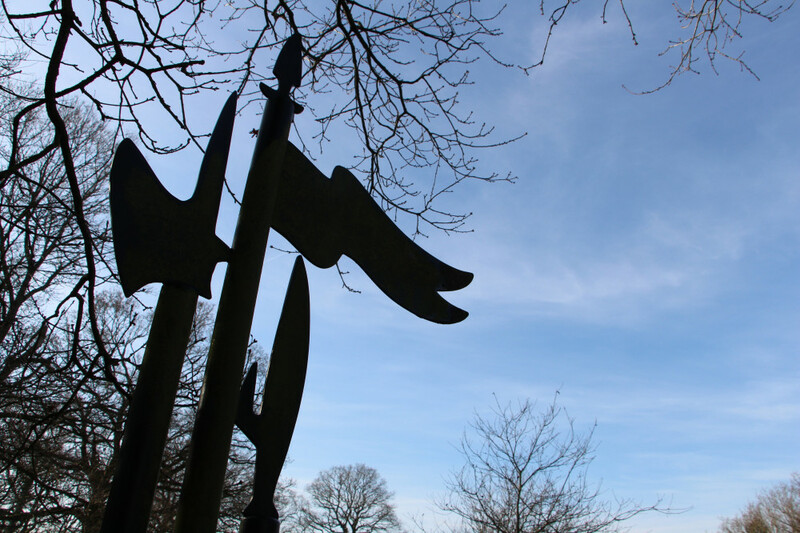 A sculpture depicting medieval weaponry used in the 1403 battle, in the churchyard at Battlefield. Exploring Ruyton XI Towns church. Suggestions for outings to country churches in Shropshire, Herefordshire, Worcestershire and Staffordshire (and further afield) in the 'Days Out' section of this website. Are you searching for the grave of a relative? 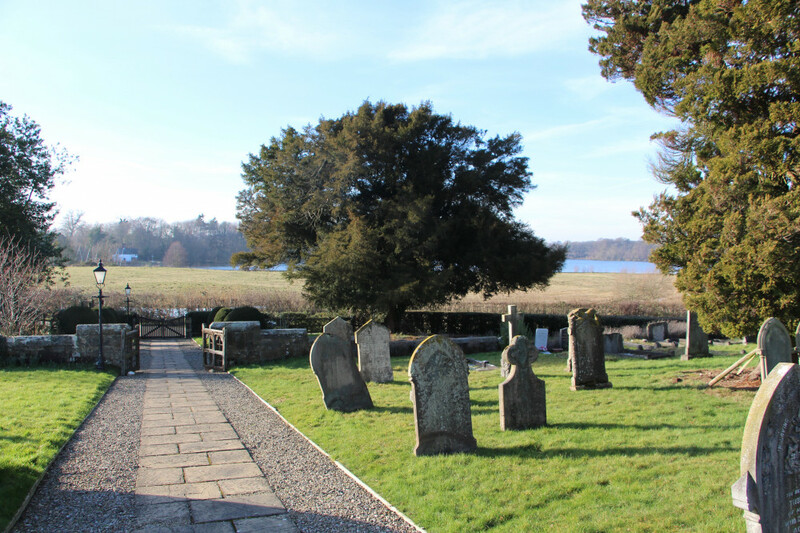 If you're searching for a relative who was buried in one of All Saints' three graveyards, please let us know if you are intending to visit. We may be able to do some preparatory work that can help you in locating the grave. Alas, there is little we can do to help when people arrive unexpectedly. There is usually a Friday Coffee Morning from 10.30am - 12 noon, when All Saints' Church is open to all (ring us 01902 540289 to confirm one is definitely on), and you can come and talk to us then. Our Administration Assistant is Gail Griffiths. The parish office is open 10am-12noon, Monday to Friday. Information should be sent to Gail by Wednesday for inclusion in Sunday's pewsheet. 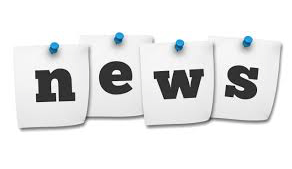 If you'd like to contribute any information about forthcoming church events, write an article, or correct anything on the site, please send your information to Martin our website editor.